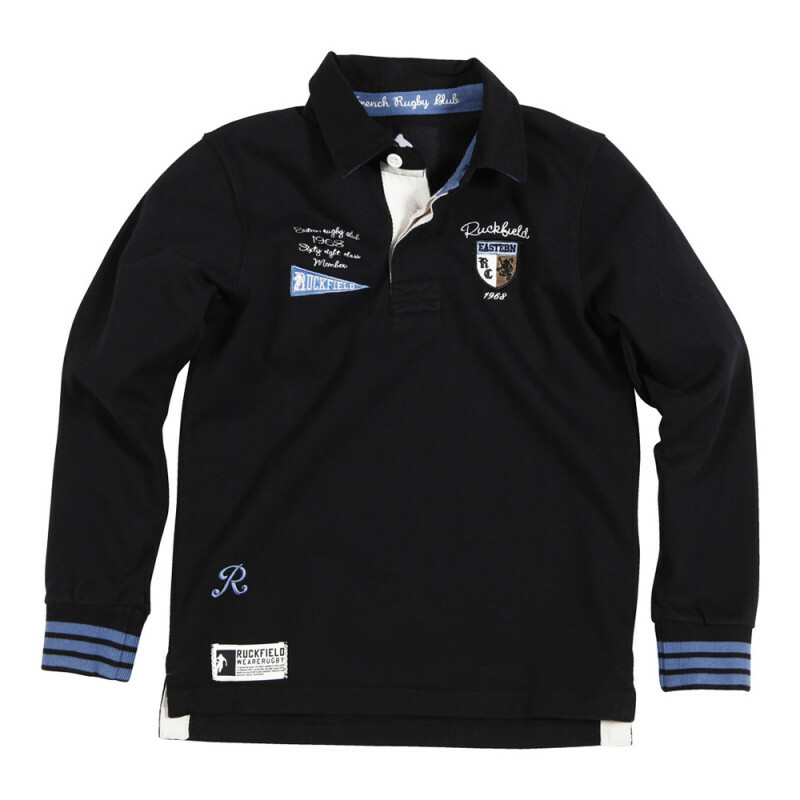 With black leather elbow patches with a zig zag effect and a blue contrast on the wrists and the inside of the collar, this black polo shirt is very trendy. Made in heavy jersey cotton, it is also very hard-wearing. Available for 4-year-old to 14-year-old kids, it is also available for adults. This polo shirt re-work all the codes of the American sport spirit to give it a vintage look.